$31,000 IN 2018 GROSS RENTAL REVENUE PER SELLER! 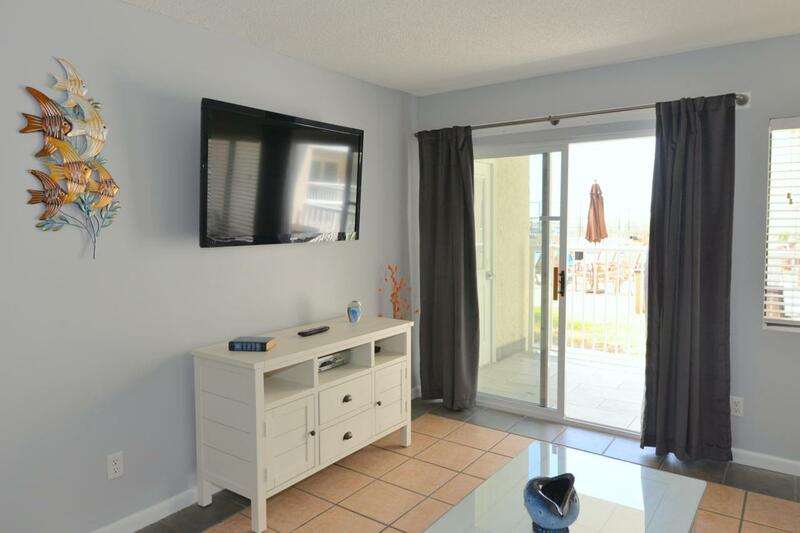 Recently updated unit - this two bedroom, two bath unit has lovely new furniture in living & dining areas & new bar stools. The carpet in the bedrooms is brand new - the color palette chosen is in the grey & blue family. No steps, no elevators - easy living! Park in front of your front door & walk directly into your condo. 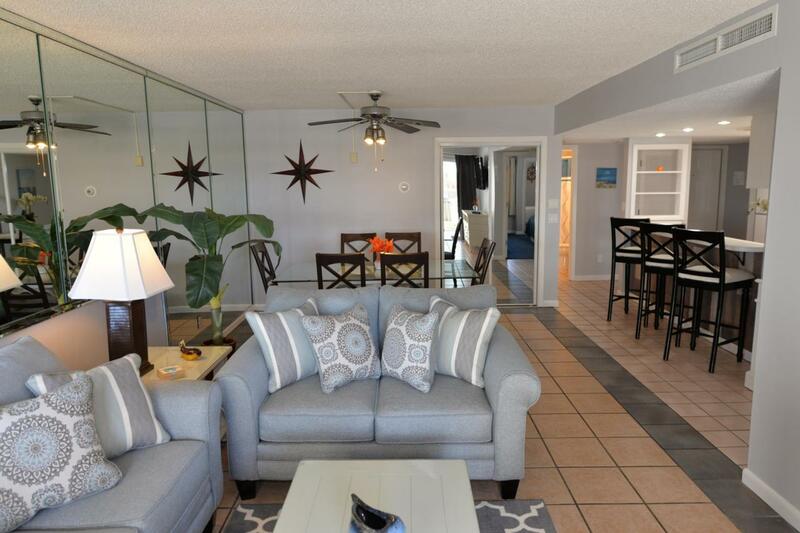 From the living room or master bedroom, walk directly out to the pool & on to the beach. You can even watch the kids play in the pool while relaxing in the cool air-conditioned comfort inside! Holiday Surf & Racquet Club has undergone major exterior improvements - new paint & new tile patios as well as boardwalk restoration plus the lobby has been transformed into a well-decorated & comfortable place to arrive & or tomeet friends. 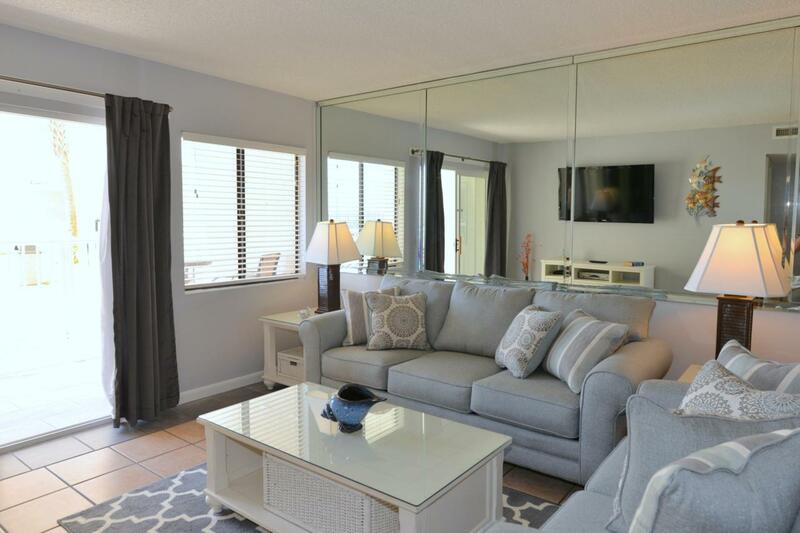 Holiday Surf & Racquet Club has tennis courts, shuffle board, his & hers exercise rooms, lush landscaping throughout the complex, & a game room. This complex also offers sauna baths, a large conference room with fully-equipped lounge with kitchen facilities. 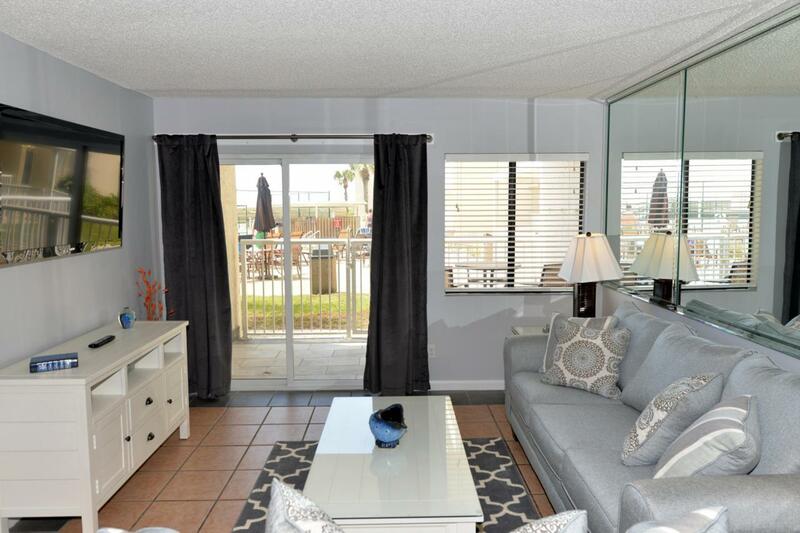 Holiday Surf & Racquet Club is a favorite complex for many vacationers & is known for repeat renters. Close to everything Destin has to offer including fine dining, shopping, recreation, & of course the gorgeous sugar white sand beaches of the Emerald Coast!